Object: 1966 Ford F-100 sidestep. The truck Sam Rockwell drove in the film Lawn Dogs. 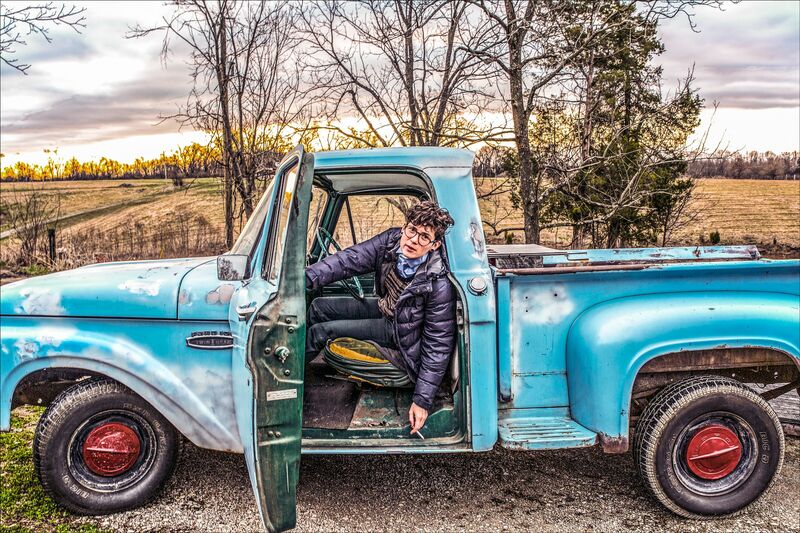 The truck was passed-down to me in 2012 by Naomi Wallace, a playwright and the writer of the Lawn Dogs screenplay. Naomi and her sister Sonja had let me stay on their farm in Prospect, Kentucky during a rough time in my life in 2011. Things turned around by 2012; I was in grad school at the University of Iowa for playwriting. But I still loved, as much as I could, to spend my holidays and summer vacations back on the farm. Naomi showed me the Lawn Dogs truck one summer, taking me to the tucked away barn where it had lived for many years. I had never noticed it before. The truck had gone into disrepair. It wasn’t running anymore and all four of the tires were flat. Because I had been doing some odd jobs on the farm, Naomi thought I might be able to care for the truck. She passed it down to me, on the condition that I get it running and care for it. As far as I can tell, this truck has a soul and lived a life, and I’m connected to that in a Dr. Frankenstein way; I’ve spent countlesshours working to bring it back to life. The truck has taught me about every detail of itself. It’s been my saving grace when I need to escape through working with my hands. The Lawn Dogs truck has its greatest meaning having been passed down to me by a playwright who’s been my mentor and friend for many years. It contains all of these history’s.